We’re looking at 32 days of endless shopping from Black Friday through Christmas Eve — the longest holiday spending spree possible given that Thanksgiving falls so early in November. “Fraudsters are in business to make money,” said Glen Goldstein, senior vice president of technology, retail and e-commerce markets at TransUnion. So crooks will be tapping into every trick and tool that holiday shoppers use to save a little time and energy — ordering online and picking up in the store, using credit or debit cards (yours or someone else’s) and loading up the cart with quick gift ideas, such as popular electronics and gift cards. They’re going to take advantage of a hectic season, distracted shoppers and the push to drive retail online. Millennials as well as higher-income households are more likely to turn to their smartphones and laptops to pick up holiday deals. Retailers, though, find themselves walking a fine line between setting up online security measures that will stop crooks in their tracks but won’t leave consumers so frustrated that they decide to leave the site to shop somewhere else. One hot fraud is likely to be built around the popular “buy online, pick up in-store” model. Shoppers love the idea of being able to hunt for the best prices and coupons online, order their gifts and then make a quick trip to the store to pick them up to save time and money on any possible shipping charges. And honestly, you don’t have to worry about your child dragging you yet one more time through the toy aisle if you’re able to go on a short errand without them. But crooks love the idea of using stolen credit-card or debit-card information to buy something online and then easily pick it up at the store so they can sell those goods for cash somewhere else. The crooks, of course, want the same goodies as everyone else — smartphones, TVs, electronics, Tito’s Handmade Vodka. “We’ve seen cases where people walk off with cases of Tito’s vodka,” Goldstein said. The store, perhaps unwilling to offend a customer, promptly fills that order before the online transaction has been validated. The crook might be asked to provide a driver’s license. But that’s not a hurdle. “Anybody who has ever been a college student knows that a driver’s license can be easily faked,” Goldstein said. One reason ID thieves are turning to the buy-online platform is that it’s far harder to create a fake credit card to use at the register using stolen information, thanks to the use of chip-enabled debit and credit cards, according to Erika Dietrich, global director for payments risk for ACI Worldwide, a global provider of real-time electronic payment and banking solutions. “It’s very hard for fraudsters to create chips that work,” Dietrich said. In the past, a crook might be able to get credit-card numbers, including a security code, to then create a phony plastic card. Now, crooks are more likely to use that stolen ID information to place orders online. The goal of a crook is to be able to mimic a real shopper — who is shopping online. Fraud attempts are expected to hit 3.27 percent of transactions on Thanksgiving Day, according to ACI Worldwide’s 2018 Holiday Season Merchant Fraud Forecast. That’s roughly double what’s seen on a more typical shopping day. 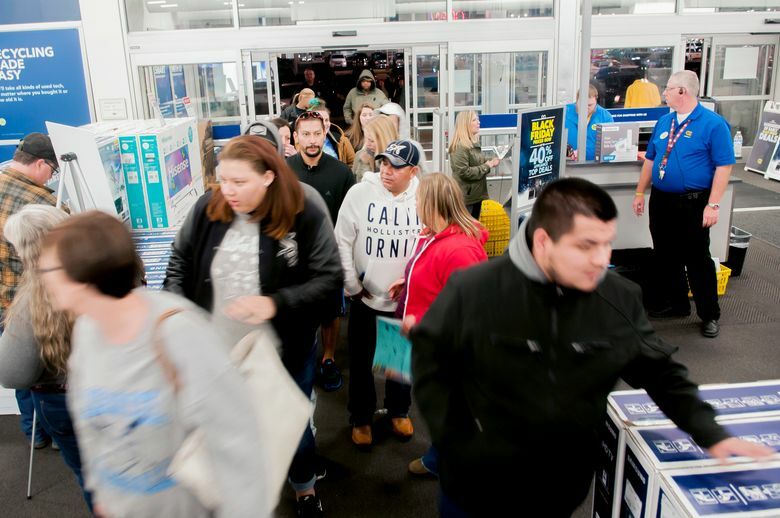 Online crooks are expected to be aggressive from Thanksgiving through Cyber Monday, as well.